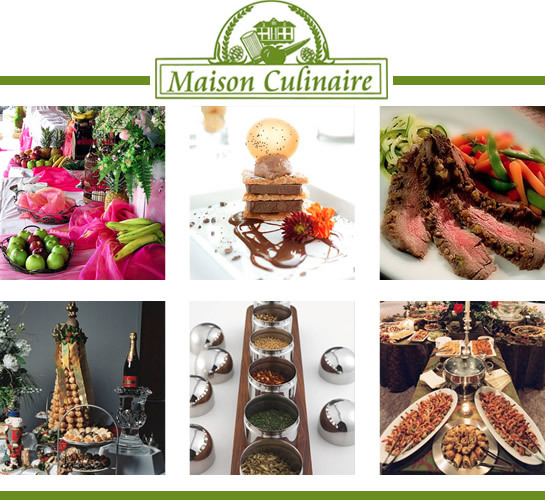 Chef Sus Grondin-Butler CEC founded Maison Culinaire in 1997 after years of experience in owning a restaurant, working as an executive chef in Hotels, Country Clubs, Conference Centers, Catering Companies and an Airline In-Flight Kitchen. A native Indonesian and grew up in London, she came to United States to pursue her masters' degree in Anthropology intending to focus on teaching and research. Although she never worked in this field, she retained a deep appreciation of the tremendous variety of culture in the world. It is natural she specializes in global cuisine. Her ability to create world cuisine gives her clients endless choices. Sus is also an avid competitor in culinary competition, which has awarded her with many gold medals and honors. What are most important to her are her customers. Armed with a wealth of culinary knowledge, Sus blends her impeccable culinary talent with artistry creating edible work of art enjoyed by Maison Culinaire customers. For more information, please visit us at www.maisonculinaire.com.